iDancehallReggae.com::Caribbean Lifestyle Media::: TIDBITTS: Erup's Dancehall Rock? 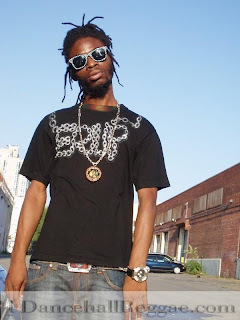 Caribbean Lifestyle Media-The last time we heard anything about ERUP, he was involved in a motorcycle accident. That was in January, it is now March and Erup is back and ready to touch the stage at Spectrum set on March 26th. Erup was hit while riding his bike on Windward Road heading to Kingston. Fully Govern, Erup's own record label recently released "how we ride". For the record we like the tune, how the audience will respond is yet to be seen. The tune is below, listen, and enjoy.